Lois Jeanette (Turbak) Bening, 86, of Coeur d’Alene, passed away peacefully Saturday evening, February 2, 2019, at Kootenai Medical Center, after a short illness. Lois was born October 30, 1932, to John and Marge Turbak of Kellogg, Idaho. 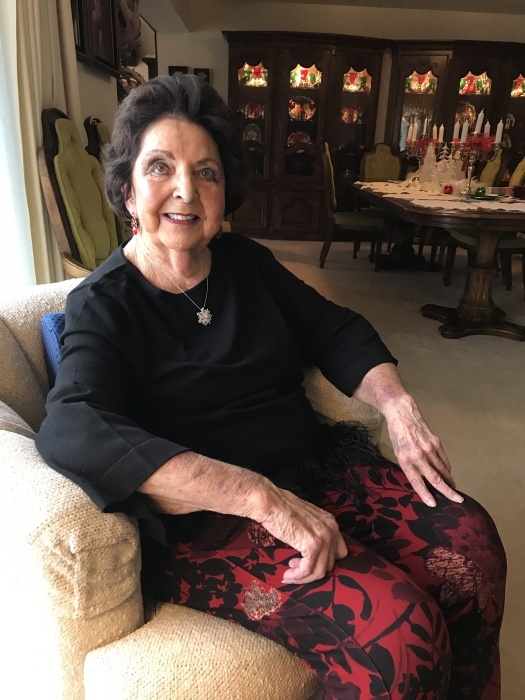 She graduated from Kellogg High School in 1950 and went to work as a secretary for the Purchasing Department at Bunker Hill. While working there she met James B Bening, the love of her life, and they were married on May 30, 1958, in the home they shared until his death in 1989. The years that followed her marriage to Jim were rewarding and busy, as they welcomed the arrival of Frank Fidel in 1962, then Brenda Gwen in 1964. Lois was a wife and mother first and foremost, and was an avid supporter of her children’s many activities through their growing-up years. Their birthday parties were legendary. Lois still found time to be active in PEO and Sweet Adelines, and was well-known among friends and family for her flair for decorating. She provided the sparkle for any event she was involved in. Her signature style is evident in the wedding photos of countless friends and family members. Along with her decorating skill was her ability to prepare food that looked as fabulous as it tasted. Not the least of her culinary talents were her annual Christmas caramels, which she lovingly prepared and distributed to friends and family. This past Christmas was no exception. Lois was the third of six children. Rita Johnson of Spokane, Carol Bottinelli of Deer Park, and Jack Turbak of Smelterville, survive her. Preceding her in death were brother Gene Turbak and sister Janice Crall. Her husband of 31 years, James B Bening, died in 1989. Lois is also survived by her children: Brenda Bening (Gary) and Frank Bening (Karla), along with two step-daughters, Mike Williams of Kellogg and Vicki Shafer (Bob) of Hayden. She will also be greatly missed by her two grandchildren, Brooke Broesch (Tobin) and James Bening, and one great-granddaughter, Kinley Renee Broesch. Numerous nieces, nephews, and grand-nieces and grand-nephews are also mourning her passing. A Memorial Service will be held Saturday, February 9, 2019, at 1:00 pm, at Trinity Lutheran Church, 812 No 5th St., Coeur d’Alene.